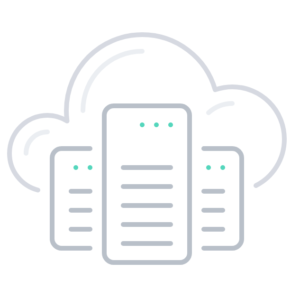 Cloud Storage adds even more flexibility to your Cloud Servers and Cloud Workstations. by providing scalable, high performance storage on demand. Add up to 64 additional hotswap storage drives to any Cloud Server or Cloud Workstation. Cloud Storage can be added removed and resized during normal operation of your machines, without any need to restart them. Simply attach and detach storage drives to your servers. Use additional storage to expand your current space for more data or to backup your important data on a seperate volume. Cloud Storage drives can be managed seperate from any machines. You can even store data in long term on a detached storage drive. Cloud Storage is billed only per the storage space assigned. As storage is persistent, costs apply for the entire time of existence of a drive, even while it is detached or attached to a turned off machine. No additional charges on disk operations are implied.